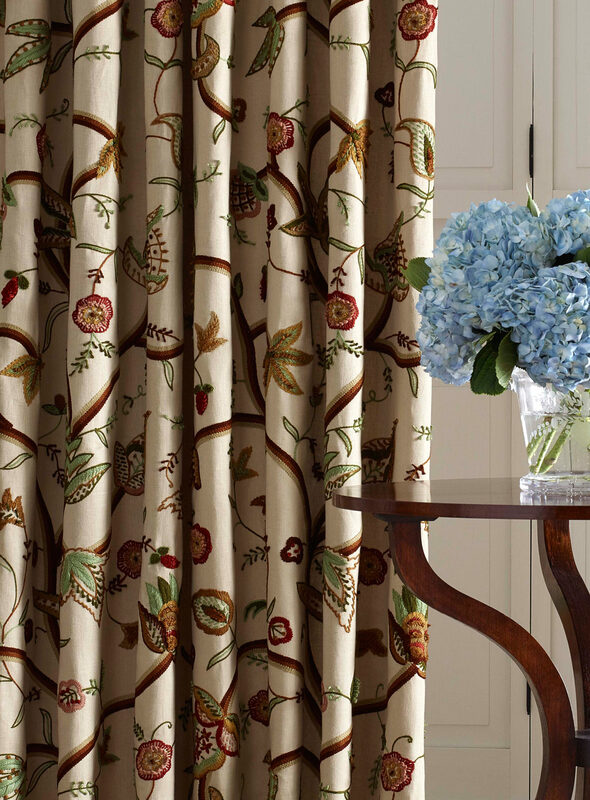 An Oscar de la Renta and Lee Jofa collection. 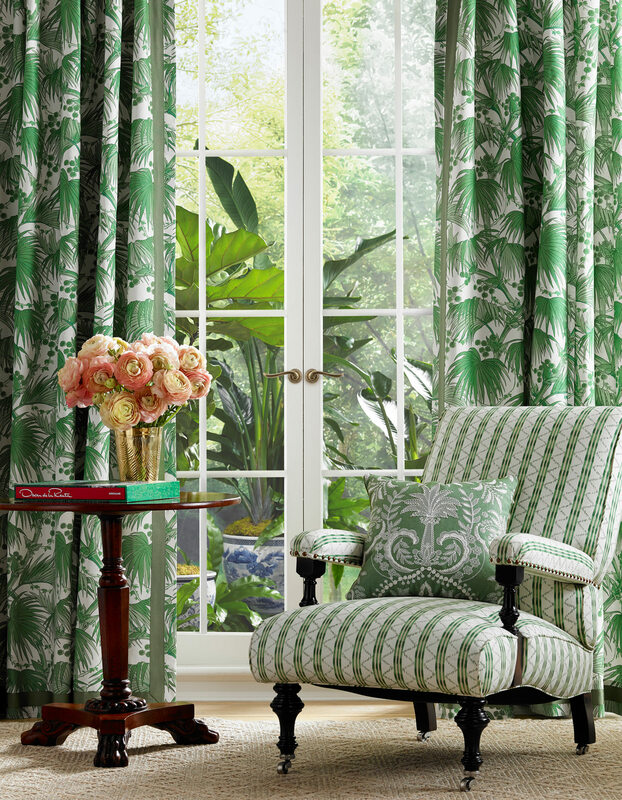 For their third collaboration, Oscar de la Renta and Lee Jofa have released a line of tropical-infused fabrics and wallpapers. 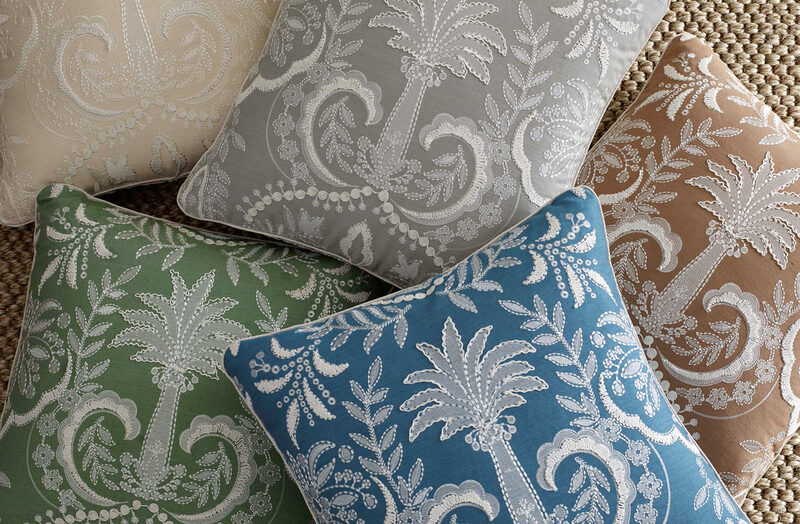 The new collection, under the creative direction of Carolina Irving, is inspired by the way the late fashion designer lived and entertained in his homes in New York; Kent, Connecticut; and his native Dominican Republic. 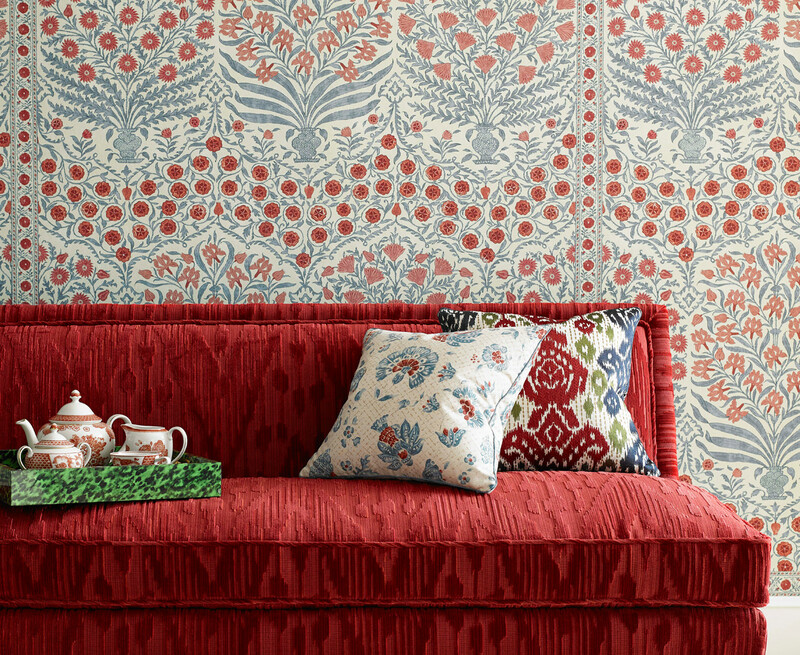 The fabrics include Mughal patterns, jacquard weaves, as well as embroideries, with crimson, indigo, and gold complemented by a neutral palette of ivory. 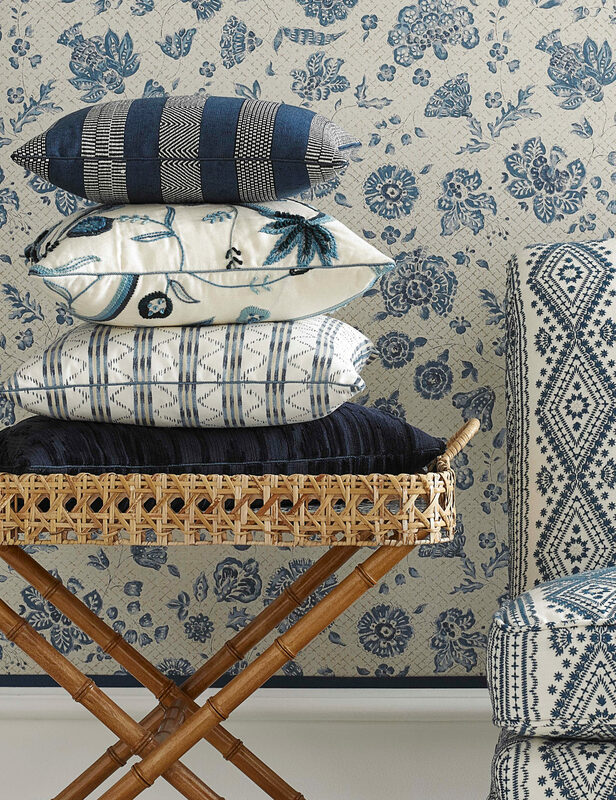 The patterns pay homage to de la Renta’s flair—the exceptionally chic creative loved mixing styles—and are designed to infuse an elegant sophistication into every room of the home.